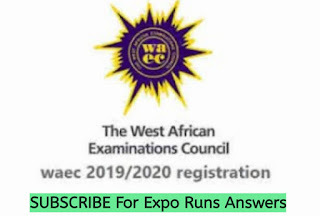 NECO CRS/IRS Obj And Essay/Theory Solution Questions and Answer – JUNE/JULY 2018 Expo Runz. The synoptic writers agree that Peter and his brother, Andrew and the Two brothers, James and John the sons of Zebedee were the first four disciples to be called by Jesus. Matthew(4:18-25) and Mark(1:16-20) have the same setting for the call of disciples. According to Matthew, Jesus was walking by the sea of Galilee. He met two brothers, Peter and Andrew. They were casting a net into the sea for they were fishermen. And Jesus said to them, “follow me and I will make you fishers of men”. Immediately, they left their nets and followed Jesus. A little further from where Jesus called Peter and Andrew, he met two other brothers, James and John the sons of Zebedee. They were in a boat with their father mending their nets for they were also fishermen. Jesus called them immediately, James and John left their boatyard their father and followed Jesus. i) It teaches Christians the right attitude to adopt towards God’s call to serve him. ii) Christians should make quick response to God’s call to be evangelists. iii) Christians must also respond immediately to God’s call to serve the nation in any capacity. Moral weakness of Eli’s children(1sam 11 – 56). Eli’s son were Hoplins and Phineas. They were worthless men. They had no regard for the Lord. The treated the offerings and sacrifices people brought for god with contempt. The practice was that when any man offered sacrifice, the priest’s servants would come while the meat was boiling, with a three – ponged fork in his hand, he would thrust it into the pan or kettle or pot,all that the fork brought up, the priest would take for himself. But Eli’s sons arrogantly violated that custom and the law. Furthermore, before the fat was burned, they would come and say to the men who was sacrificing “Give meat for the priest to roast, for he will not accept boiled meat but raw. And if the men said, “let them burn the fat first and then take as much as you wish. They would say, NO you must give it now; and I will take it by force. They treated the offering of the Lord with contempt. Besides these, Eli’s chikdt ń lay with women who served at the entrance to the tent of meeting. They were sexually reckless. i) Eli did not train his children in the way of the Lord. ii) He failed in his parental duties. iii) He was careless about the things of God. i) It breeds evil deeds in the life of children. 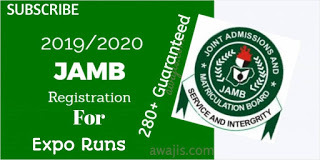 ii) It also leads to stubbornness in the life of children. i) Christians will be rewarded in multitude. ii) God will increase them. iii) Christians will never lack any good thing. St Paul in his epistle to the Philippians stressed the need for a sense of humility among the church members. As at the time paul wrote the message , great disunity existed among the church members as a result of lack of humility. Paul therefore advised them to be in harmony and not to do anything out of selfishness or conceit. They should not be self -centered .They should consider in interest of other above their own St paul used the case of jesus Christ to show them what humility is all about.He said jesus christ was in the form of God but he did not count himself equal to God.he took the form of an ordinary servant and was born in the likeness of man.In the human form, he humbled himself and became obedient unto death , even the death of the cross which was considered as one of the worst forms of death. Jesus spoke to them, saying, “I am the light of the world. Whoever follows me will not walk in darkness, but will have the light of life.” So the Pharisees said to him, “You are bearing witness about yourself; your testimony is not true.” Jesus answered, “Even if I do bear witness about myself, my testimony is true, for I know where I came from and where I am going, but you do not know where I come from or where I am going. You judge according to the flesh; I judge no one. Yet even if I do judge, my judgment is true, for it is not I alone who judge, but I and the Father who sent me. In your Law it is written that the testimony of two people is true. I am the one who bears witness about myself, and the Father who sent me bears witness about me.” They said to him therefore, “Where is your Father?” Jesus answered, “You know neither me nor my Father. If you knew me, you would know my Father also.” These words he spoke in the treasury, as he taught in the temple; but no one arrested him, because his hour had not yet come. So he said to them again, “I am going away, and you will seek me, and you will die in your sin. Where I am going, you cannot come.”So the Jews said, “Will he kill himself, since he says, ‘Where I am going, you cannot come’?” He said to them, “You are from below; I am from above. You are of this world; I am not of this world. I told you that you would die in your sins, for unless you believe that I am he you will die in your sins.” So they said to him, “Who are you?” Jesus said to them, “Just what I have been telling you from the beginning. I have much to say about you and much to judge, but he who sent me is true, and I declare to the world what I have heard from him.” They did not understand that he had been speaking to them about the Father. So Jesus said to them, “When you have lifted up the Son of Man, then you will know that I am he, and that I do nothing on my own authority, but speak just as the Father taught me. And he who sent me is with me. He has not left me alone, for I always do the things that are pleasing to him.” As he was saying these things, many believed in him. Joseph said to his brothers, “Please come near to me.” So they came near. Then he said: “I am Joseph your brother, whom you sold into Egypt. But now, do not therefore be grieved or angry with yourselves because you sold me here; for God sent me before you to preserve life. For these two years the famine has been in the land, and there are still five years in which there will be neither plowing nor harvesting.And God sent me before you to preserve a posterity for you in the earth, and to save your lives by a great deliverance. So now it was not you who sent me here, but God; and He has made me a father to Pharaoh, and lord of all his house, and a ruler throughout all the land of Egypt.“Hurry and go up to my father, and say to him, ‘Thus says your son Joseph: “God has made me lord of all Egypt; come down to me, do not tarry. You shall dwell in the land of Goshen, and you shall be near to me, you and your children, your children’s children, your flocks and your herds, and all that you have. There I will provide for you, lest you and your household, and all that you have, come to poverty; for there are still five years of famine.” “And behold, your eyes and the eyes of my brother Benjamin see that it is my mouth that speaks to you.So you shall tell my father of all my glory in Egypt, and of all that you have seen; and you shall hurry and bring my father down here.”Then he fell on his brother Benjamin’s neck and wept, and Benjamin wept on his neck.Moreover he kissed all his brothers and wept over them, and after that his brothers talked with him. I)Principled he had character and integrity. He was honest. He was tempted at multiple times, and he resisted. ii)Humble- the power and prestige of his position working for Pharaoh never changed him. iii)Disciplined- Joseph had the proper long term perspective, even while in jail for a crime he didn’t commit. Stephen, a man “full of faith and of the Holy Spirit,” was among them. Stephen performed great wonders and miracles among the people of Jerusalem. Jews of the outer provinces began to argue with him, but they could not win against his Spirit-filled wisdom.So in secret,they convinced false witnesses to lie, accusing Stephen of blasphemyagainst Moses and God. In ancient Judaism, blasphemy was a crime punishable by death. The accusers brought Stephen before the Sanhedrin, the great council, where the false witnesses said they heard Stephen say Jesus would destroy the Temple. Stephen launched into a powerful defense, detailing the history of the Jews from Abraham through the prophets. He concluded that the Sanhedrin had murdered the prophesied Messiah, Jesus of Nazareth. The crowd became furious at him, but Stephen looked up to heaven: “Look,” he said, “I see heaven open and the Son of Man standing at the right hand of God.” At that, the mob dragged Stephen out of the city and began to stone him. They laid their coats in front of a young man named Saul of Tarsus. As he was dying, Stephen prayed to God to receive his spirit, and further asked God not to hold the sin against his killers. Stephen “fell asleep,” or died. Other believers buried Stephen and mourned his death. i)Stephen, had Greek names, showing that the members of the early church considered it a universal institution, not just another sect of Judaism. ii)Stephen’s death was illegal. The Sanhedrin was not authorized to impose the death penalty, but the stoning appeared to be the result of mob action. iii)Stephen was the first martyr of the Christian church. His final words were similar to Jesus’ last words on the cross. Stephen was the only one to say Jesus was standing, instead of sitting,at his Father’s right hand. i) Hadithul Nabawiy is not attributed except to Allah , while the Hadithul Qudsi bias attributed to the Prophet because he is delivered from Allah SWT. ii) Reading the hadithul nabawiy in prayer is rewarding, and hadith Qudsi not be rewarded in prayer. The Treaty of Hudaybiyyah was an important event that took place during the formation of Islam. It was a pivotal treaty between Muhammad, representing the state of Medina, and the Quraysh tribe of Mecca in March 628.
ii)The prophet sets standard for keeping promise. 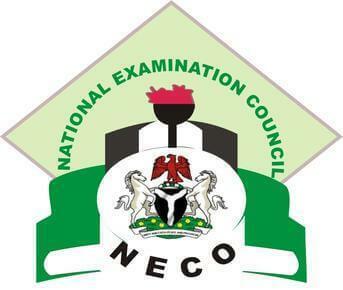 Verified NECO 2018 June/July CRS/IRS OBJ and Essay Answer and Solution to the questions.